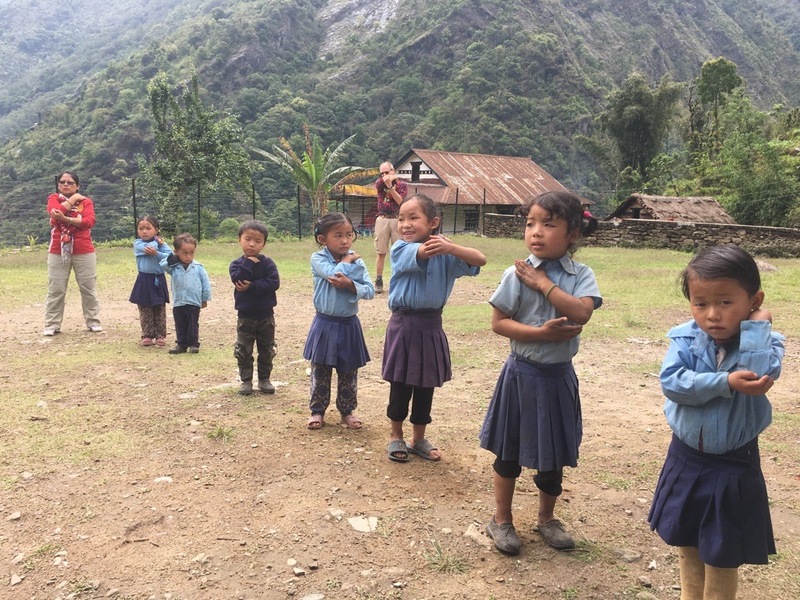 Remarkably, despite being out in the field for seventeen days we had only seen nine schools. In the concluding four days we would be visiting a further eight schools. During our last evening in Lelep we were joined by the Deputy Chairman and Deputy Director of the SWC (Social Welfare Council). They are a government organisation with the function of checking on all NGOs and INGOs in Nepal. This visit, by such important people, was part of an accreditation of our and REED’s work. Before we left Lelep, we took the two visitors from the SWC to look at the girl’s hostel. Not only are the facilities unsatisfactory, but we wanted to share our concern with the lack of pastoral care for the girls. 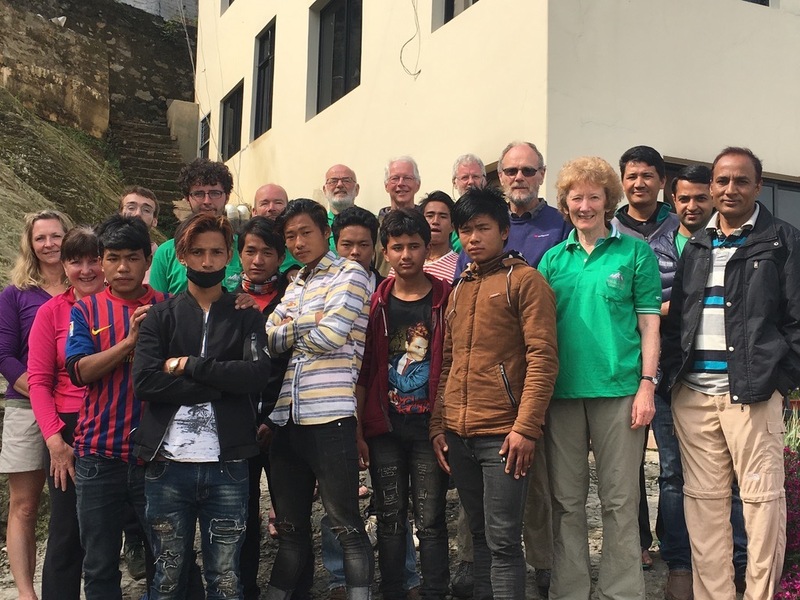 They agreed with our concerns and vowed to speak to the Ministry of Education on their return to Kathmandu, to lobby for a full time carer and improved facilities. I hope they live up to their word. Feeling rested, particularly in my case, we climbed out of Lelep to find a path that generally contoured around the hill overlooking the Timor River far below. After about two and a half hours we reached Sabriti Basic School, a lovely school for a little over fifty children. When we arrived the children were playing on the playground and I was interested to see that there were two games of football taking place. One of the games consisted of girls only. 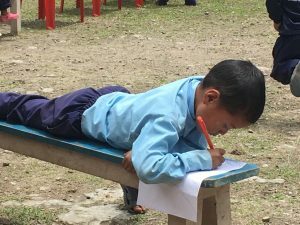 Whilst this is not perhaps uncommon on school playgrounds in the UK, it is the first time I had encountered such activity in Nepal. The school continues to make progress as it embraces the skills and child friendly approach so ably taught by the REED team. The school now benefits from a fresh water supply, part of last year’s initiative to make sure that every school has access to water. On my previous visit I was concerned for the safety of children as they came out of their classrooms as there was a significant vertical drop from the narrow walkway, without any protection. There is now a very sturdy fence, ensuring that children, in their eagerness to go to play, do not fall and hurt themselves. Whilst Sabriti School is flourishing, the next one we visited, barely an hour further along the track, is in a very sorry state. Mohendra Basic School once had 165 pupils, but because of poor leadership by the head, now has 23, a decline that has occurred in just a few years. Two years ago I gave the head a dressing down. Then he had to write a letter of commitment ensuring that he would improve his performance and that of the school. Unfortunately, nothing seems to have improved and I gave him another serious dressing down in front of all there, including those from the SWC. The head has a serious drink problem. In most other countries he would be out of a job but, for some reason, he cannot be replaced. Sadly, until he is replaced, he is letting down the community and children within its catchment area. 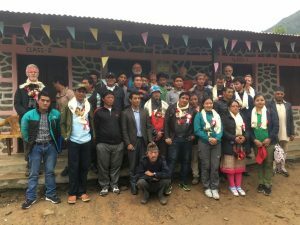 From Mohendra, we climbed steeply up the terraces of maize and potatoes for several hundred metres to Deurali Basic School. 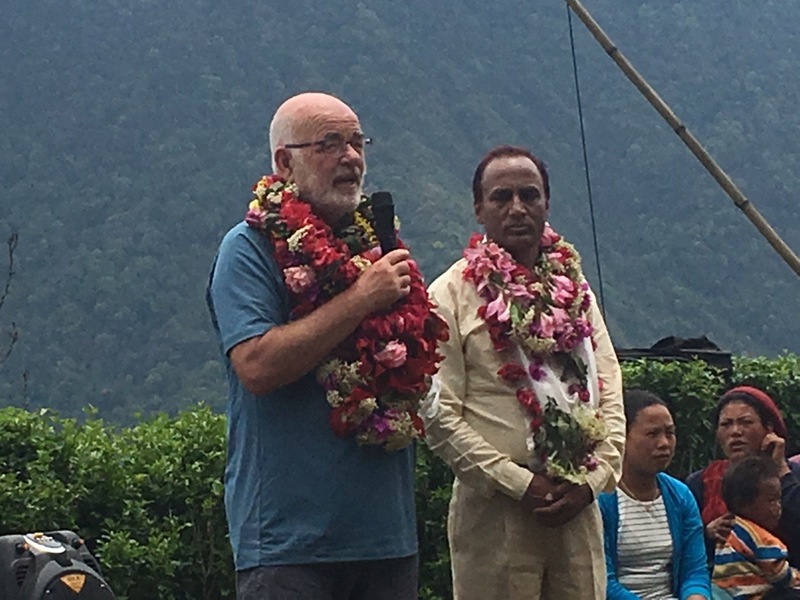 Deurali has a great sense of community and there were lots of people waiting for our arrival. There were some REED trainers working with staff on the concept of MGML (Multi Grade Multi Level) teaching, where children are all taught in the same room by a number of teachers. We visited the workshop. At first it appeared to be quite noisy, but then you began to appreciate that it was focused noise and that the children were not distracted by what was going on elsewhere in the room. 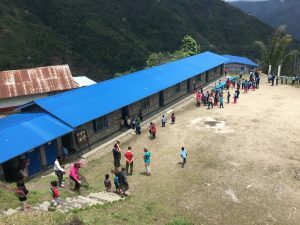 Deurali was another of the schools damaged in the earthquake and all the children were gathered in the single, large classroom that has been built. It is quite large and lends itself to this style of teaching. Everything we saw impressed us. Once the training had finished the opening ceremony of the new building took place. Unfortunately, it started to rain so the formal gathering had to take place in another part of the school, across the playground. By the time the formalities were finished, the rain ceased and we were able to go outside under the makeshift shelters that had been erected. As was now the tradition, great pots of rice and goat meat were produced for the whole community. We chose, without offending, to decline the food. 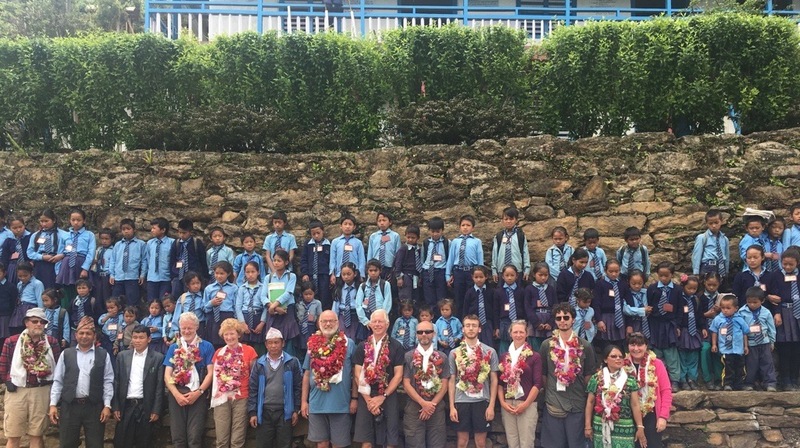 Our distinguished guests from the SWC left us after the ceremony, well pleased with what they had seen and with the work of the Himalayan Trust UK and REED. If ever we need support from them in the future, I think it would be guaranteed. That night, instead of putting tents up on to a wet and muddy playground, we all slept on the floor in the new classroom. It was one of the best night’s sleep of the whole trip. 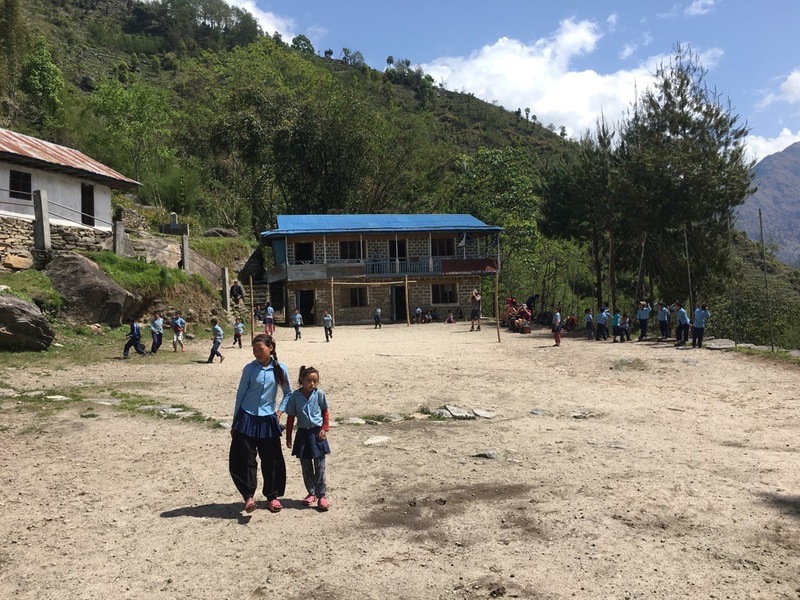 The following morning we left Deurali to wend our way on a beautiful walk to Sundevi Secondary School. The walk took us through a variety of landscapes from terraced fields, to cardamon plantations to thick forest. The walk was made all the more interesting because it was wet and there were thousands of leeches just waiting to latch on to us. Roma popped into a house as we passes and collected lumps of rock salt for each of us so that we could fight back. It was very funny watching a paranoid group walk, constantly checking their footwear and legs for leeches. By the time we reached Sundevi School, the weather had brightened up. A tour of the classrooms and of the lessons taking place, confirmed that this school is performing well, giving the students the best possible start in life. 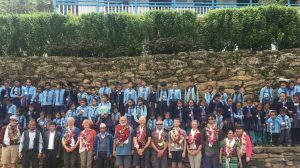 To mark our visit, nearly every child in the school had made a garland. Each child, in turn, presented their garlands to us as we sat in a line in front of them. We were fairly heavily weighed down by the time the procession was finished. From Sundevi, we could see our next school visit, Bipudham but in order to get there we had to descend steeply for about an hour before climbing for a further three quarters of an hour. It was a slippery descent and we had to take care not to fall. Bipudham School is situated on a little plateau on the edge of a ridge stretching down towards the Timor River. It too was damaged in the earthquake and we were going to experience yet another opening ceremony. Unfortunately, shortly after we arrived, it started to rain and the proceedings were moved into one of the temporary learning centres we built in the immediate aftermath of the earthquake. I was disappointed to see that the school, despite the fact that we had built them some new classrooms, were still using the TLCs, now looking a little worse for wear after nearly three years of use. Amongst the parents attending the ceremony was a mother who was very drunk. She staggered about the school, making a nuisance of herself. One cheek was heavily swollen, probably as a result of a drunken fall. Later in the proceedings she sat on a bench hugging a girl, her daughter. What chance does that girl have with a mother that is incapable of looking after her properly? The mother would be in no fit state to provide a meal. At least there was going to be food available after the ceremonies were completed. 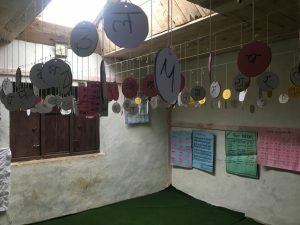 The school certainly benefits from the new classrooms we have built, and we saw evidence of improvement in the teaching. However, this school has a weak head and you get the impression that that weakness is holding the rest of the staff and the children back. Having avoided the rice and goat meat we took our leave and descended to Chhiruwa for the night, where we were to stay in the lodge I have used frequently in recent years. We had more rain in the night. There had been hardly a day during this trip where we had not had rain. This is the wettest part of Nepal but the pre-monsoon rains seem to have come early this year. Early the next morning we visited the Phoktanglung Health Post. Nothing has changed here in the last three years, apart from the personnel looking after it. Each time I have visited they have requested a birthing centre and nothing has materialised. Since my last visit they have had a fatality during childbirth so I am hoping, that once Yamphudin is finished, we can give some attention to this particular need. It will not cost anything like the money we have put into Yamphudin. 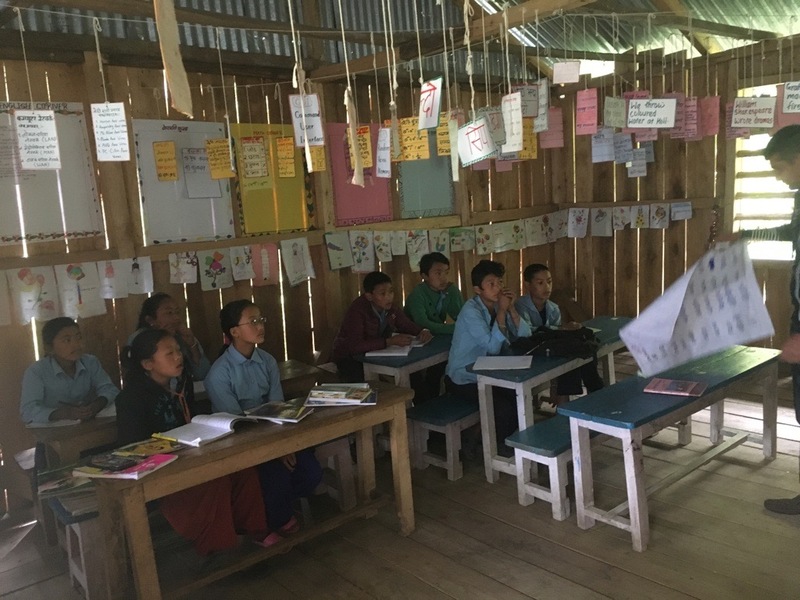 While Kate and the rest of the team stayed on at the health post, Tim, Mike and I went down to Phoktanglung School. We arrived in time for assembly on the playground. This was led by one of the older girls, but even so she could not have been any more than ten years old. She fulfilled her role with confidence as she first led the assembly and then the brain gym activities. Upon the conclusion the children set about going to their classrooms but before they settled to their work they swept out the rooms while other children litter picked around the playground and others filled buckets for the toilets. At no time did a member of staff have to tell them what to do. This was a daily routine and was very impressive. This young man does not want to miss out on his classwork just because we are visiting. 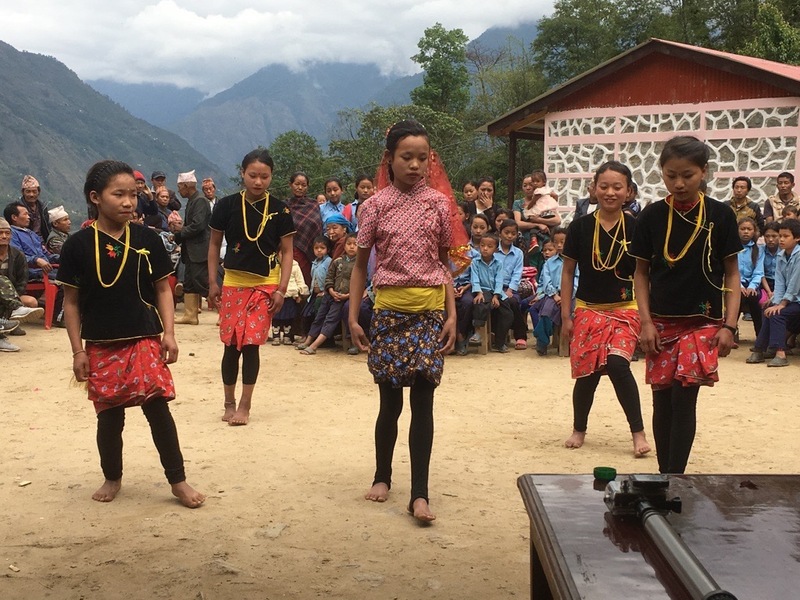 Having observed some lessons, the school then wanted to give us a short cultural show. Just before it started the Chairman of Phoktanglung Rural Municipality visited the school. During the show there was one member of staff who was particularly impressive, the ECD teacher. She seemed to be efficiently involved in all aspects. This school relies very heavily on community contribution, having only one government allocated teacher. All other staff are paid for from the interest raised from a community fund. It means that they get paid only a fraction of the normal rate. I seized my opportunity after the presentation was over and went to speak to the chairman of the PRM, asking him to use his influence to improve the remuneration of the teachers in this school. He gave me a positive response without any guarantees. From Phoktanglung we headed up hill for an hour or so to reach Sewalung School. They too had had a rebuild programme following the earthquake, so this would be our fifth building opening ceremony. When we arrived the children were still in lessons so we had the opportunity to observe some lessons in the new classrooms we had built and also in the government funded classrooms that were under construction when I visited the school in 2016. In 2016 the school was in a sorry state. 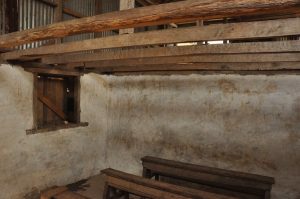 There had been significant damage to many of the school buildings but they were still having to use them out of necessity, along with a neighbouring building that was not really suitable. Then all the classrooms were dark and the teaching was uninspiring. 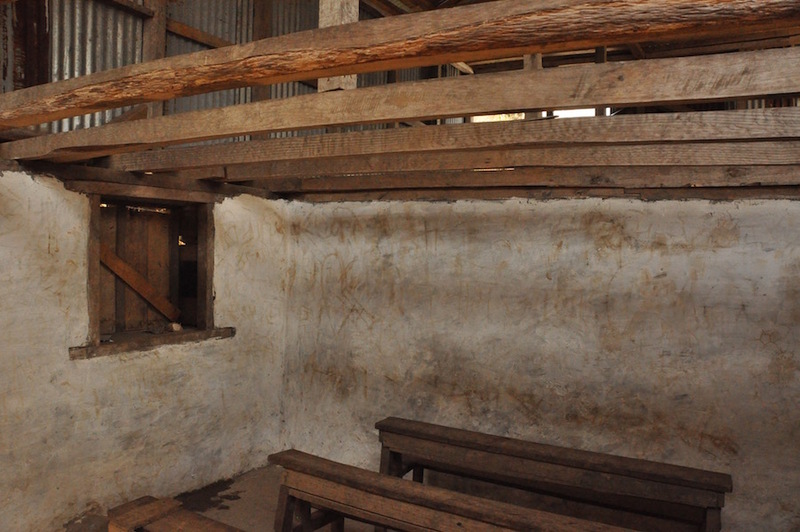 Now, they have bright and airy classrooms and the teaching was much improved. I remember there being a weak head teacher in 2016. He has now left but has been replaced by a similarly weak head, appointed based on his years of service to the school rather than his quality of teaching and leadership. At least the Key Teacher is good and there are others who are self motivated to work for the benefit of the children. Embarrassingly, I suggested that we might have some noodle soup before the formal celebrations started. Unfortunately the formalities started before the soup arrived, so, when it did come, we sat there in full view of everybody eating noodle soup. These events, despite their formality are actually fairly relaxed and chaotic so I doubt for a minute that anybody was surprised or shocked by our eating lunch. After about two hours, during which there were a lot of speeches, the longest being from the Chairman of the Rural Municipality, who spoke for seventeen minutes and which Rajendra translated for us in just forty seconds, the event came to a close. Climbing up further from the school, we eventually reached a path that contoured high along the hillside. 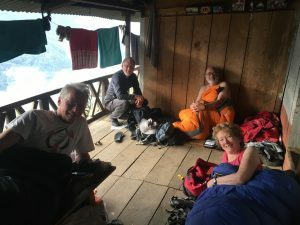 After about an hour we reached our overnight accommodation, the house belonging to one of the Sewalung teachers, where Tim and I stayed in 2016. The difference this time was that there were ten of us, plus Rajendra, Passang, Sujata and eight porters. 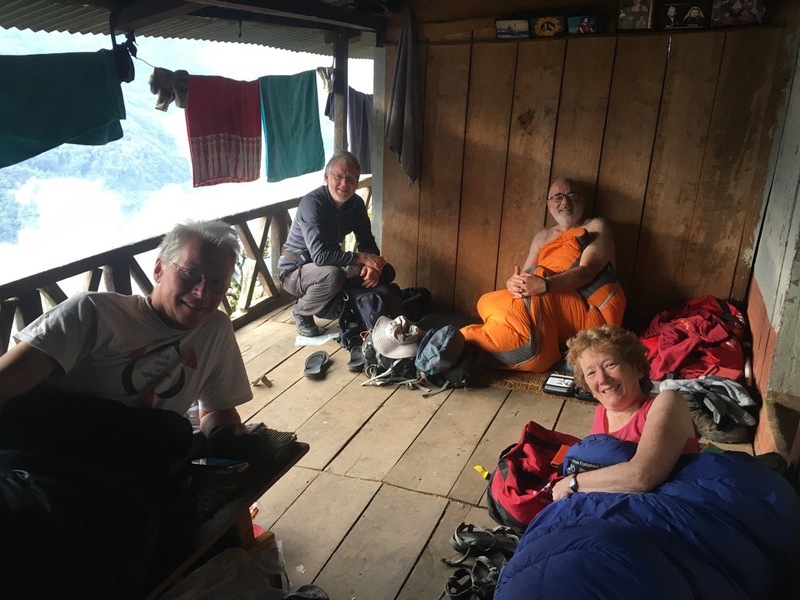 There was a surprisingly large amount of space available to fit us all in, although Tim, Kate and I elected to sleep on the upstairs veranda. That produced one of the best night’s sleep of the trip. My last speech of the trip! We were only about twenty minutes from our last school, Rani Basic School, in my mind the best school of all those we work in. Despite it being a Saturday nearly all the children turned up to enthusiastically greet us and show us, with pride, their school. 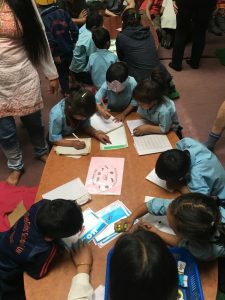 After the usual assembly and brain gym, all ably led by the children, we were able to observe a number of lessons that were both engaging and informative for the children. They also have a computer suite and there I observed, with the use of a programme projected on to a wall, a geometry construction lesson. It was all really good. Afterwards, we all gathered on the playground again for us to be festooned in so many garlands that they weighed heavily and the strings cut into the back of our necks. As we listened to the speeches the clouds cleared from the high mountains and we were treated to super views of Jannu at the western edge of the Kangchenjunga massif. Eventually there were no more speeches to be made or dances to be performed. It all came to an end and we began the long, knee jarring descent to Siwan 1000 metres below. After three hours it was good to finish. 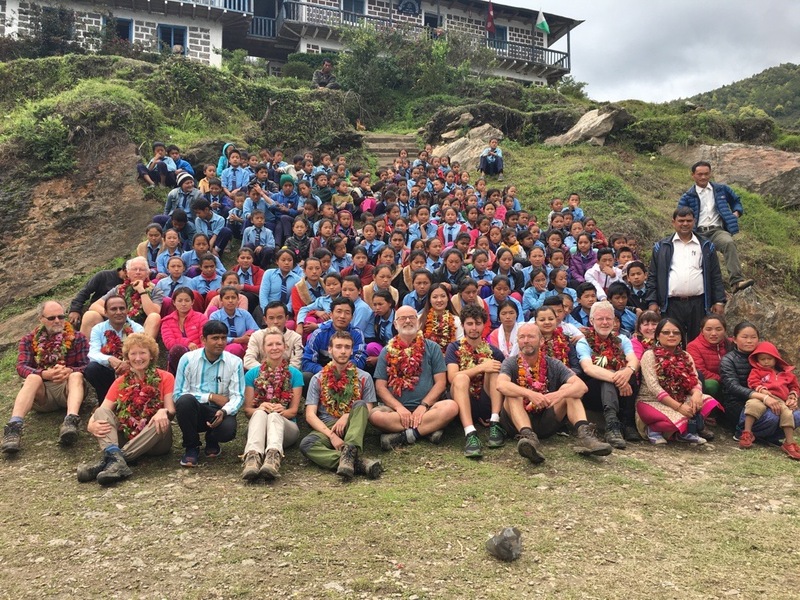 Despite all my trouble earlier in the trek, in these last few days I had felt much better and much more able to cope with the endeavour needed to visit these remote schools. This trek, unlike most is unusual. A normal visitor who embarks on a trek gradually gains height by following a recognised route up a valley to a high point. On reaching that high point they either turn round and return the same way or continue down the other side. We were not having it that easy. In order to visit a school we might have to climb anything up to 1000m to then descend before visiting the next school. And all the slopes were steep, the temperature and humidity levels high. 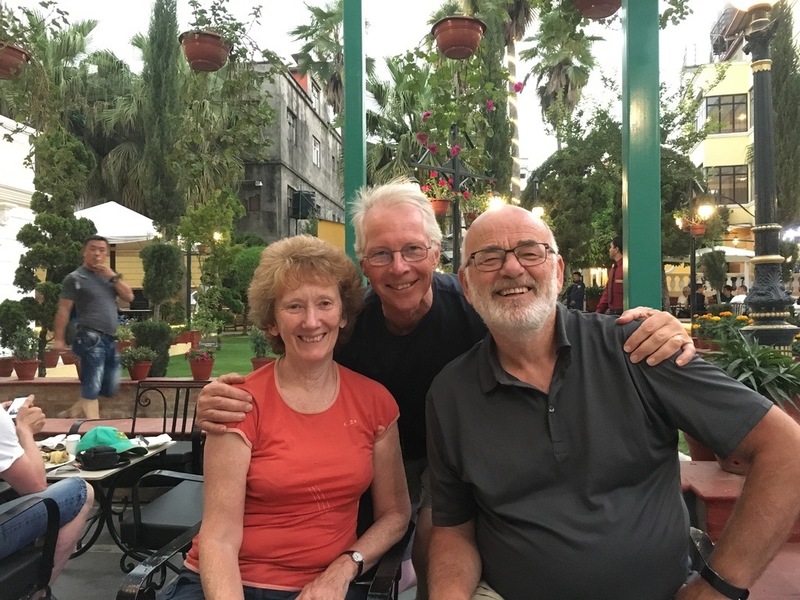 Mike and Ann, who have done a number of treks with me, maintain that this is the hardest they have ever done! Well done, everybody! The jeeps were there to meet us and take us back to Taplejung ready for the journey to Bhadrapur the next day. In fact we were only travelling as far a Ilam, so that we could then make sure that we got to Bhadrapur in time for the late morning flight. The flight back to Kathmandu was remarkably on time, which gave us some time in the afternoon to do a bit of necessary retail therapy. 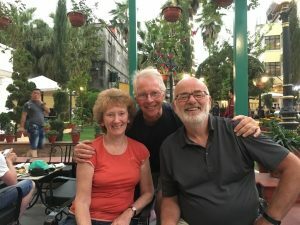 Tim, Kate, Ian and I managed to eat in the Garden of Dreams before returning to our guest house in Patan. 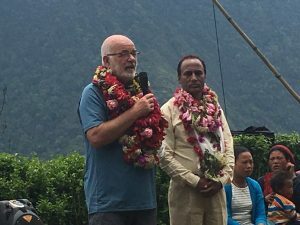 Our last full day in Nepal was largely spent in meetings with REED where we discussed the various options for our future involvement. It has been made abundantly clear to us that there is a growing need for us to expand our work. At the same time, there are schools that need less input from us now that they have had the training. What they have learnt and the approaches to education that they have adopted are now part of each school’s culture. We have made a difference, and, as long as the schools are monitored and supported further when necessary, we can move on and give more children in these remote mountains the better opportunities in life that a quality education brings. 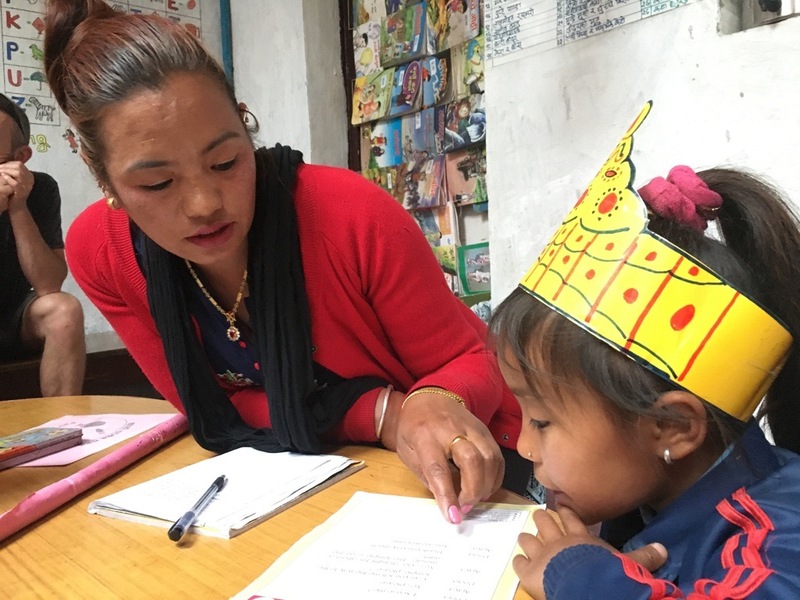 One of the problems I have wanted to solve is the provision of a midday snack for children so that they can focus on their learning in the afternoons rather than worry about their rumbling stomachs. We had looked at a number of ways we could do this but never found anything that was going to be guaranteed and cost effective. REED announced that they were going to make some savings in their budget so that they could buy every child a snack box. That would be about 2,100 snack boxes, costing NRs200,000 (£1400). They would then use the schools to educate the parents to send their children with a simple snack. I had NRs50,000 left in the trek kitty, so that immediately went to support the cost of snack boxes. While the problem is not entirely solved and there can be no guarantees that all children will be eating snacks, it is good to know that very soon every child in the schools where we work, may soon be having refreshments in the middle of the day, allowing them to concentrate on their afternoon lessons. All it requires now is some parental responsibility and cooperation. Despite the difficulties at times, this has been a superb trip. It gave me a great deal of pleasure to share what we do in this remote region with people who had little understanding of the problems associated with trying to provide quality education and health care. 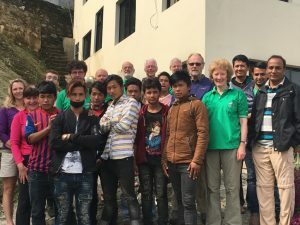 I hope it has opened their eyes and that, perhaps, they can find some way of supporting the Himalayan Trust UK to continue with this important work.